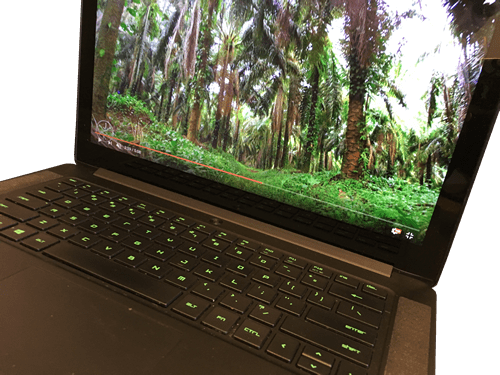 Speaking about best selling gaming computers we have to take extra time to discover Razer Blade laptop models. 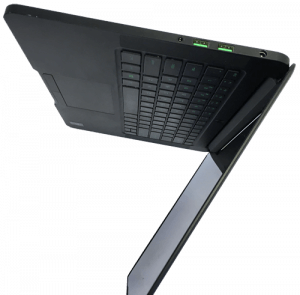 Very powerful machines packed in super slim bodies are a real threat to Alienware and MSI gaming laptops. 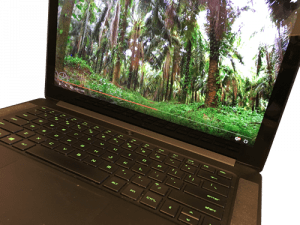 Year after year Razer Blade computers are better and pull more gamers on their side. 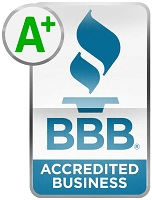 San Francisco, California based company aims to be the best choice for customers looking for the ultimate gaming computer hardware not limited to laptops only. 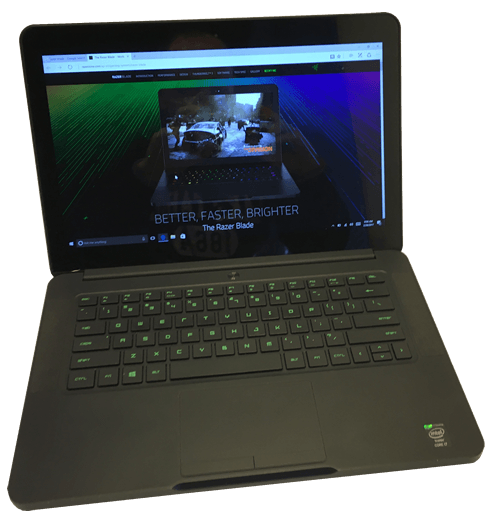 Next to the Razer Blade Stealth and near the top of the line Razer Blade RZ09-0116 put people’s heads on swivels when it hit the market in 2014. 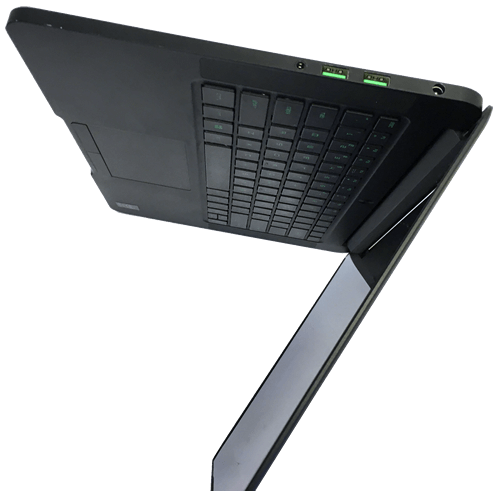 It’s an ultra thin, light-weight, high-powered gaming laptop. It’s wrapped in an all metal black body with a three headed snake thing glowing logo tilted on its side. It was made to look similar to and feel like the MacBook Pro Retina that sells for most money compared to competition. Apple’s success continues and customers are willing to pay premium just to own a Cupertino , California made computer. That’s where it got its black metal body concept from. You’re looking at a MBP of the gaming world. Stocked with an all black exterior and interior, the look is very monochromatic with the black keyboard and trackpad as well. 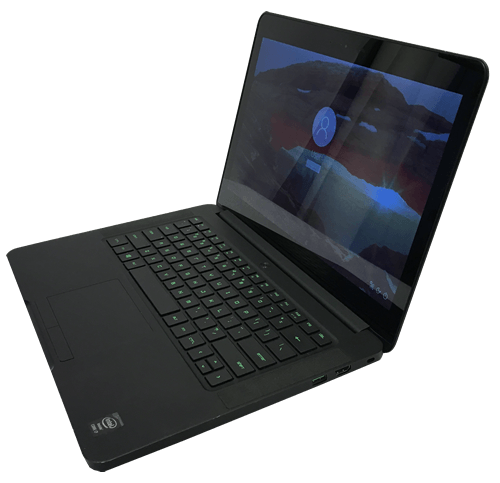 What’s nice about this gaming laptop is it maintained a really slim figure at only 0.70-inches. It’s also very, very light weighing in at a mere 4.47 pounds. In order to do that they needed to omit the CD drive, which is fairly common anyway. Additionally they also didn’t give much in way of I/O ports. It only has three USB 3.0 ports, and Ethernet port, HDMI, power adaptor, and an audio jack. Oh yes, and a security lock slot. Razer also took the screen to some next level stuff when they gave it a 14” QHD, 10-point multitouch 3200 x 1800 resolution display. For a gaming rig a touch screen isn’t too common but this one has it for sure. This display gives great resolution for the Intel HD 4600 + 3 NVIDIA GeForce GTX 870M graphics card’s abilities. 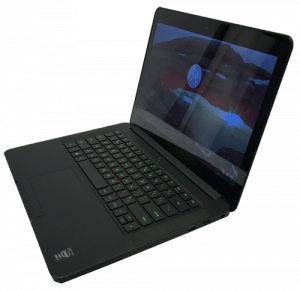 Its powered by an Intel Core i7-4702HQ quad-core processor with 8GB DDR3L of RAM. The only thing you can choose with this machine is whether you want 126GB, 256GB or 512GB of Solid State Drive storage. The one we have videoed is a 256GB version. The battery life was one thing that Razer really didn’t go out of their way to make great. The battery under normal usage like web browsing and whatnot would give about 4.5 hours. However, as soon as you put it under a pretty heavy gaming load, you’d expect to see that diminish to about 60 minutes or so. The other not so awesome thing about it was the price. It was running from about $2,199 – $2,699. But if you wanted that slick MacBook Pro of the gaming world that was the entry fee. 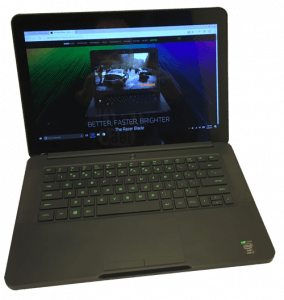 Razer Blade are among best selling used laptops on the current market. Finding a good used machine may be challenging but it will save you a lot of money. 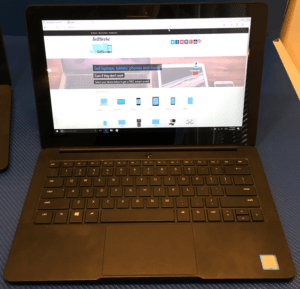 It may be worthwhile reading our guide on buying a used laptop from a person to gain insights in dealing on second hand computer market. In case if you need to get rid of your old computer first in order to make room for the new one, check out how to sell your laptop for best profit.